French startup Whyd started off as a social network for music lovers but recently announced that it would switch its focus for a hardware project. The company just unveiled this secret hardware project — it’s a high-fidelity connected speaker that combines voice recognition with all music streaming services out there. The company isn’t doing a Kickstarter. Instead, Whyd is accepting pre-orders on its website for $299, with a shipping date around the end of the year. After the pre-order period, Whyd expects to sell its speaker for $499. So what makes this speaker different from the 458 other speakers out there? It starts with the design. The bold, pill-shaped design will stand out in your living room. I don’t think everyone will like it, but it’s definitely not a boring design. Whyd will sell five different pastel colors. The speaker doesn’t ship with a battery so you’ll have to plug it your wall at all times. 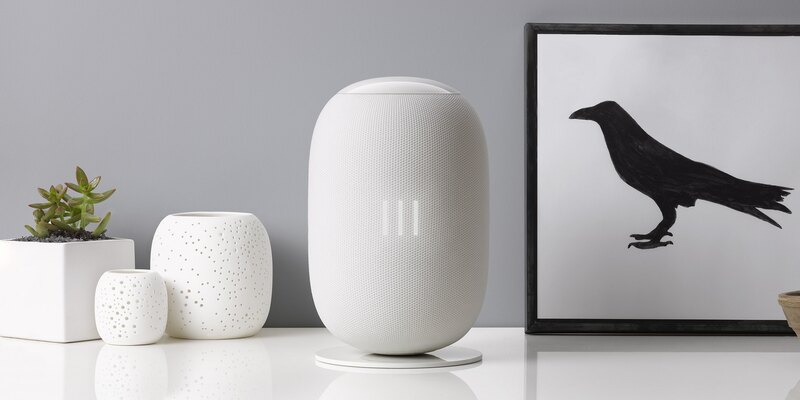 The Whyd speaker connects over Wi-Fi or Bluetooth, works with AirPlay and Spotify Connect, and can stream music from many different music streaming services out of the box. Whyd is compatible with Spotify, Apple Music, SoundCloud, Tidal, Deezer and Google Play Music. But the main differentiating factor is that Whyd has been working on natural language processing, integrating with Google Cloud Speech and optimizing for music playback. The company bundled multiple microphones and optimized them for long-range queries with noise cancelling technology. This way, you can launch a playlist, play a specific song or look up an artist with your voice. If you want to play an obscure remix on SoundCloud, you don’t have to dig around in the SoundCloud app, you can look it up with your voice. Think about it as a sort of Amazon Echo, but with a better sound and a focus on music. “Whyd is the only speaker that combines a beautiful design, high-quality audio and voice control. We’re committed to build the best speaker for the streaming generation.” co-founder Jie Meng-Gerard told me. Let’s hope it sounds as good as they say.